Working from home is a dream that many people have. Whether you are a stay-at-home mum, a househusband or simply unemployed, you may be looking for opportunities to start working from your computer. Knowing where to start is sometimes difficult, leading to many people searching the internet for ideas and opportunities. If you do a quick search for work from home jobs, you’ll find that a lot show up. However, start clicking through them and you’ll find that many are scams. Con artists play other people’s need to make money quickly and it’s important to know when a job is a scam or a legitimate opportunity. Here are five top tips on knowing when a work from home job is legitimate. Legitimate work from home jobs will never ask you to pay something upfront. They may say they want money to access a job board or to spend money on training materials. Never, ever pay that money! You will not usually get anything out of this afterwards; the con artists simple want your money. However, here comes the confusing part. There are some companies that ask for an investment. If you become a Weight Watchers leader, an Anne Summers party rep or an Avon representative, you may find that you’re asked to invest some money by purchasing products from the company to use at your meetings or parties. Remember that an investment is completely different to paying for a job! Before signing up to anything, look into the reviews of each company you find. You will need to know details such as the work you will be doing, whether it is legal work and whether the company pays on time. If there are many people complaining that a company pays late or has not paid, then this should serve as a red flag and you need to look at other opportunities available. However, it is worth looking into the details of the reviews. Not everyone will have success with legitimate work from home opportunities. They may not be great at direct selling or may not have realised what the job entailed before starting. These people may try to blame the company and label it as a scam so check the details to determine whether it really is a scam or not. 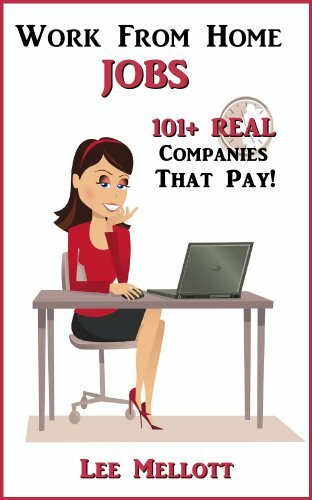 With Lee Mellott's Work from Home Jobs, find out the 101 companies that will pay you to work from your own home. Companies come and go and, in this market, new companies tend to go quickly. You may have heard that new companies fail within the first six months. The problem is that many new companies are unable to take the first steps to gain popularity and a good reputation to continue in their market. This means that you need to be wary of any start-up company offering you the chance to work from home. This doesn’t mean it’s not legitimate but it may not work out in the long run. It will take time to establish and start making you money and you will be the guinea pig for whether the company pays on time or not. Tread lightly and trust your gut instinct. Don’t put all your eggs into one basket – keep looking out for other opportunities and offers that are more sustainable. It’s not just new companies that can seem iffy; companies that have been around for years may sound too good to be true. The general consensus is: if it seems too good to be true, then it most likely is. Con artists want you to feel like the job answers all your problems. They play on your dream to become an overnight millionaire so that you’ll make them the millionaires. Go with your gut; if you find you’re second guessing something, it may be for a very good reason. Of course, there’s nothing stopping you from doing your research. This will help you find out if others have fallen for a trap or whether it is genuinely a great opportunity. Your research will also tell you more about whether it is legal! There are many work from home jobs that turn out to be illegal and you could find your bank account frozen and face jail time! Not everyone is good at direct selling. While searching for work from home jobs on the internet, it will be worth taking the time to know the types of jobs that you should avoid. The majority of the following jobs are usually the ones that turn out to be scams. These sound like they should work out and sometimes they are genuine, however you should avoid any new company or a “business entrepreneur” just starting out. If you want a call centre job from home, look into reputable companies that are known for these opportunities. These jobs promise you a salary and a cut of anything that you transfer. It sounds great but these are scams and illegal businesses. The companies often transfer the money into your bank account and then ask you to wire the money through Western Union. This means that there is no paper trail so the receiver is not caught when the police come knocking on your door. Again, there are genuine roles out there but they will not pay a lot. This is often a great side income job. However, you should never pay any money into these companies and genuine mystery shoppers will never pressure you into taking a job. There are plenty of advertisements on the internet about start-up kits which help you earn thousands a month working from home. Avoid these completely as they never work out like the advert says. The scammers are simply after one thing – your hard-earned money. If you want to start up your own business, there are plenty of ways to do it without a large investment. The simplest way is to think of something that you have to offer and start selling your services, whether it is writing, photography or making bespoke jewellery. There are legitimate work from home jobs available but it is important to know how to spot them. You want to be able to earn money doing something you love, not trying to recoup the lost money from a scam. 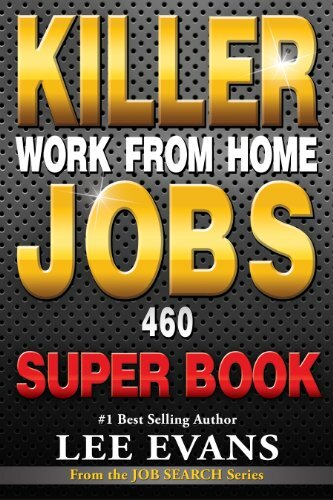 Find out 460 jobs that you can do from the comfort of your home. Skip the scams and start earning the money.